Here at Stour Chiropractic Clinic, we like to keep things simple and we trust you are here because you already know a little about chiropractic and its possible benefits. Our testimonials page will give you some idea of our successes and we publish every testimonial we receive whether it's good, indifferent or otherwise. We are a friendly, family run chiropractic clinic established for over 10 years, conveniently located close to the centre of Christchurch. 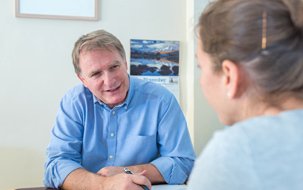 At Stour Chiropractic Clinic as well as traditional chiropractic methods, we also use a variety of techniques including some very gentle methods that do not require physical manipulation.